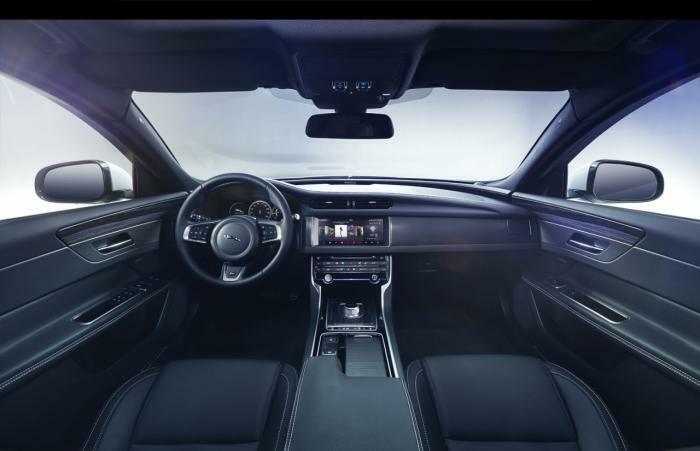 Jaguar has released the first pictures of the 2016 XF, ahead of its official unveiling on March 24th. Completely redesigned from the ground up, the 2016 XF will feature a stylish exterior with a sculpted hood and curvaceous body work. There isn't much else to see but Jaguar Design Director Ian Callum said "I believe the all-new XF will be the best looking car in its class. Elegant, handsome and with proportions that imbue a great sense of integrity - the all-new XF will be true to the strong tradition of sporting Jaguar saloons while being completely of its time." Moving on to the interior, we can expect "unrivalled levels of refinement, luxury, comfort and technology." That's pretty vague but we can see wrap-around wood trim, piano black accents and a new infotainment system. The model also has a three-spoke steering wheel, revised switchgear and a rotary gear knob. Jaguar is keeping specifications under wraps but they confirmed it will ride on the aluminum-intensive iQ[Al] platform and set new benchmarks for weight and fuel efficiency. Speaking of the latter, Jaguar confirmed one variant will return more than 70 mpg UK (58.2 mpg US / 4.0L/100km).